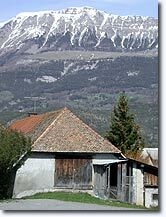 By road, Grenoble, Gap, Barcelonnette then take the D900 going to Digne-les-Bains and Selonnet. By train, Gap railway station. In the green Blanche valley, on the banks of the river of the same name (whose water is, moreover, rather green! 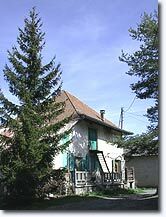 ), are some picturesque houses and hay barns in the middle of meadows planted with dark pine trees. This is Selonnet, a tiny village built on a serene, splendid and very sunny site,where children can ride their bikes in peace and quiet... and where you will find shops and vast car parks. Be sure to admire the astonishing Tour des Diguières (16th century), the only remains of a château that in olden times was flanked by four towers. 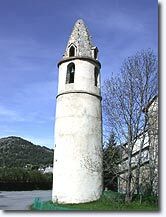 The Tour des Diguières (16th century). Winter and summer sports at the nearby Chabanon Selonnet resort (8 km). Raspberry, strawberry, bilberry and mushroom picking. 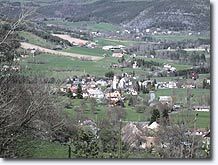 Seyne les Alpes (4 km), Montclar (5 km) et St Martin les Seynes (4 km), Chabanon-Selonnet (8km) and St Jean Montclar (8km).